Celebrate your next event in style in one of our catering rooms. From smaller and intimate to larger and opulent, we have just the right space for all of your special occasions. Come to our family-friendly establishment to enjoy good food with your family and loved ones. 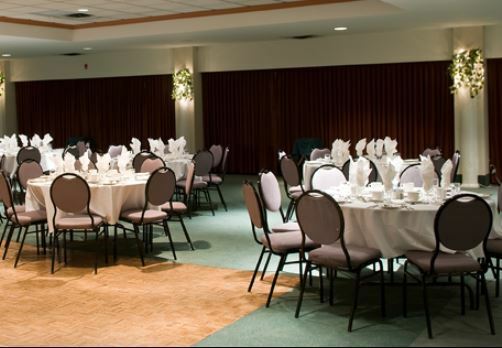 Our facilities offer traditional banquet halls for every occasion, no matter what day of the week. From wedding receptions to corporate events, call Nuchie's to schedule your next event. You will never go wrong at Nuchie's! We are now offering unique menu planning for corporate groups of 20 people and up! Call to plan a custom menu that will fit the needs of your event. We guarantee you’ll enjoy your experience with us. Package 1 Price per person $18 Package 2 Price per person $20 Package 3 Price per person$23 Package 4 Price per person $17 Package 5 Price per person $29 Package 5 requires a minimum of 50 persons *Please see the attached document for a detailed list of package menu options.